FORT HALL — The Chesterfield Fire, which started Monday morning approximately one mile north of Chesterfield Reservoir on Fort Hall Reservation, is now 50 percent contained and has burned an estimated 2,500 acres. Fire managers report that there is line around a large portion of the fire, but the south, southeast portion of the fire is in steep, difficult terrain for firefighters to access. Fire behavior subsided overnight due to lower temperatures and high humidities allowing firefighters and dozers to get indirect line around the southeast corner of the fire. On Tuesday, firefighters and dozers will work to secure the fire perimeter and complete line around the south portion of the fire. Fire activity is expected to pick up as the day heats up with most of the fire activity occurring on the south, southeast portion of the fire. No structures threatened and the fire is burning in grass and brush in steep terrain. 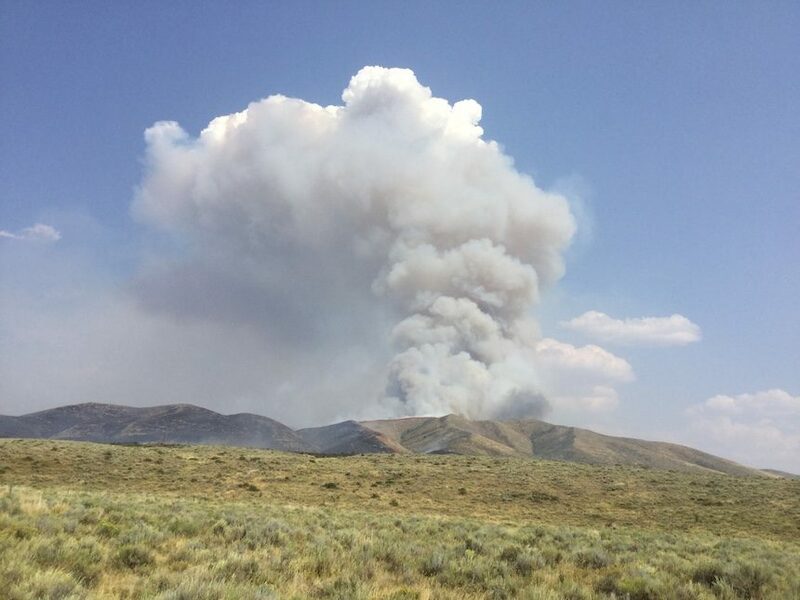 Five engines, 2 brush trucks, 9 smokejumpers and 3 dozers are being used to battle the fire.